Single Trigger Hand rubbed oil finish by JWS. Very good condition - action feels like new. Nice long stock and gorgeous trigger pulls and shoots beautifully. Case hardened action and side locks with tasteful engraving. 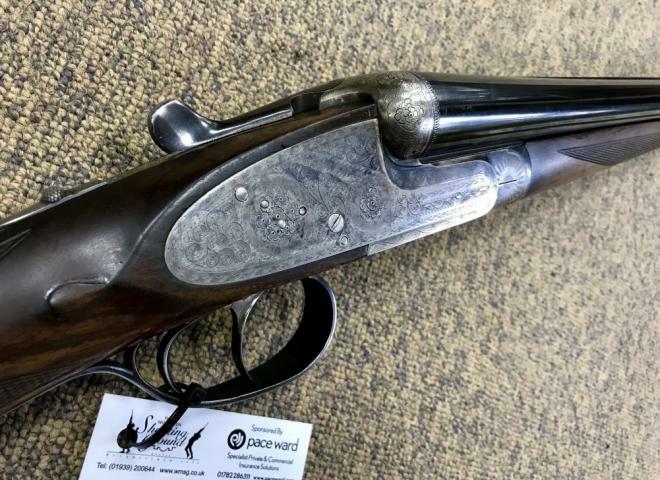 This shotgun has done very little work, tight action and spotless barrels.